The majority of the population have a normal to low arch. Even though the arches appear to be normal most of us suffer from over-pronation during walking, running and standing, due to the hard, flat unnatural surfaces we walk on, combined with wearing unsupportive footwear. With every step we take the arches flatten and the ankles roll inwards. Pronation itself is not wrong because we need to pronate and supinate as part of our natural gait cycle. Pronation (rolling in) acts as a shock-absorbing mechanism and supination (rolling out) helps to propel our feet forward. Over-pronation occurs when the foot pronates too deep and for too long, not allowing the foot to ‘recover’ and supinate. Over-pronation hampers our natural walking pattern. It causes an imbalance and leads to wear and tear in several parts of the body with every step we take. There are many biomechanical issues that can contribute to excessive pronation, including weak foot intrinsic muscles, limited ankle dorsiflexion mobility and calf flexibility, weak ankle invertor muscles (e.g. posterior tibialis), weak forefoot evertor muscles (peroneus longus), poor hip strength and control, Anterior pelvic tilting, heel InversionIn a person who overpronates, the heel bone goes into an everted position meaning that it turns out away from the midline of the body. The opposite motion of eversion is inversion. Inversion is a motion that needs to be controlled to prevent the foot from excessively pronating. 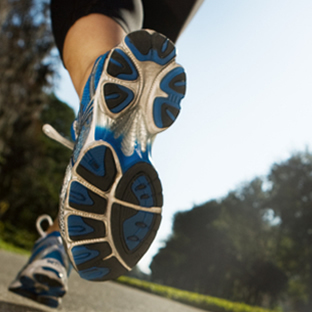 Overpronation can lead to injuries and pain in the foot, ankle, knee, or hip. Overpronation puts extra stress on all the bones in the feet. The repeated stress on the knees, shins, thighs, and pelvis puts additional stress on the muscles, tendons, and ligaments of the lower leg. This can put the knee, hip, and back out of alignment, and it can become very painful. Personal orthotics can be prescribed via your healthcare professional. If finances or insurance are issues, similar and often better options can be purchased online for overpronation. The right walking shoes are also essential. Most shoes cater to neutral foot gaits, unless they specifically state otherwise. That won?t help you if your foot rolls inward. In order to correct the issue, you need shoes with stability or motion control abilities, low heels, deep heel cups, and good arch support.